Shopping for a new GMC Acadia? If you want the most advanced safety tech, you’ll have to opt for a 2018 GMC Acadia SLT or Denali. 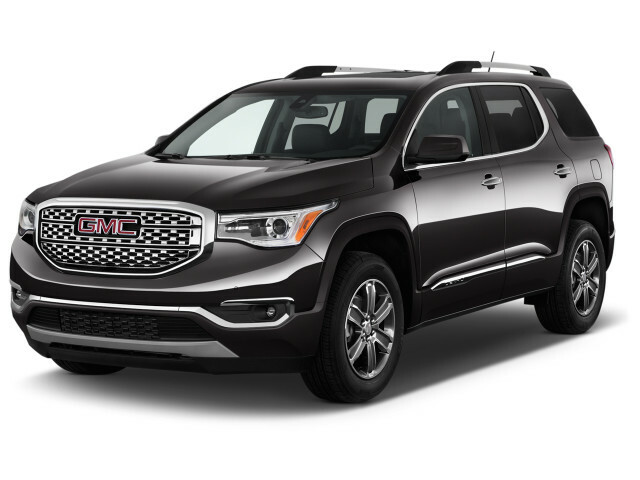 The 2018 GMC Acadia is a solid, if not stand-out choice among mid-size crossovers with seating for up to seven. The 2018 GMC Acadia is a mid-size, family-hauling crossover that bucks the trend: it was recently downsized. One thing that’s important to note is that this latest Acadia, introduced last year, is considerably smaller than its predecessor. If you’re looking to replace an older Acadia and find the 2018 to be too small, you may want to venture to the Chevrolet dealership to look at the larger Traverse. This year’s Acadias are available in SL, SLE, SLT, and Denali trim levels, with a rugged-looking All Terrain package optional on SLEs and SLTs. 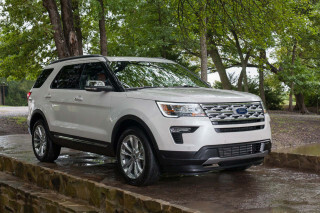 A 2.5-liter inline-4 is standard on most trims, but a 3.6-liter V-6 is optional and more desirable in our eyes since the base engine runs out of steam with a full load of passengers and their gear. Acadias can be ordered with either front- or all-wheel drive, although the latter is aimed more at a snow-covered roads between home and school than four-wheeling, even with a special off-road mode fitted to the All-Terrain. The Acadia drives well with a comfortable, composed ride and handling that borders on nimble. It’s hardly engaging, but that’s not really the point here. Instead, the Acadia shines for its comfortable interior. Although it’s surprisingly narrow, the Acadia has good room for four and is acceptable for even more. Its available third row is tight for adults but certainly fine for kids. With so many trim levels and option packages on offer, there’s an Acadia for just about every need. One area where there’s room for improvement, however, is in this GMC’s advanced safety tech. To get the best stuff—automatic emergency braking, adaptive cruise control, and active lane control—you’ll have to opt for a high-spec SLT or Denali. Rivals have democratized these features in recent years and some, like Toyota and Nissan, make many of them standard on all trim levels. The Acadia’s also about mid-pack when it comes to fuel economy, scoring an acceptable 20 mpg combined with the optional V-6 and all-wheel drive. Attractive in a simple way outside, the 2018 GMC Acadia feels a little bland inside. 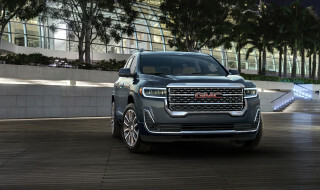 We like the 2018 GMC Acadia’s clean, masculine looks, especially when it’s fitted with rugged-style All-Terrain appearance package that’s optional on SLT and Denali trim levels. Inside, we’re less enthralled with the Acadia; it’s clean, but hardly a standout. The Acadia’s two-box design features few wasted curves. Squared-off wheel openings impart a truckier look than its car-based platform actually provides. There’s some visual interest in the way an uninterrupted chrome strip loops around the front two rows, which serves as a reminder that the third row is not the prime seating area. From the rear, the Acadia’s taillights are large and are separated by a big hunk of chrome on most models. All Terrain Acadias dial things back considerably in the bling department with their own wheel designs and dark finish trim. At the opposite end of the spectrum, the Acadia Denali lathers on the bling with a dressy grille and more shiny bits scattered about the exterior. The Acadia’s interior is pleasing enough and can be ordered in several satisfying shades, but its symmetrical design feels a little too last decade to merit a point above average. The 2018 GMC Acadia is polished and comfortable. Base Acadias use a 2.5-liter inline-4 rated at a strong 193 horsepower and 188 pound-feet of torque. Unlike several rivals’ base engines, the Acadia doesn’t use a turbocharger, but that doesn’t bother us. It mates well to the standard 6-speed automatic transmission. Available on all but the base Acadia SL is a strong, quiet 3.6-liter V-6 rated at 310 hp and 271 pound-feet of torque, which sends also power to the wheels via a 6-speed automatic. Front-wheel drive is standard and will probably be more common in the sun belt, but on-demand all-wheel drive is optional. Located in the center console on all versions is a control knob that offers up sport, towing, and off-road modes. With all-wheel drive, the knob also lets drivers select between two- and four-wheel drive, ostensibly to save a little fuel on sunny days. The Acadia’s steering is nicely weighted and is delivered to the driver via a thickly rimmed four-spoke steering wheel. 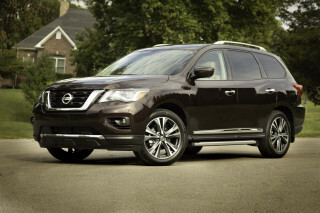 V-6 models can feel a little nose heavy, but they still handle well in day-to-day driving. Underneath, the Acadia’s four-wheel independent suspension absorbs pockmarked terrain with aplomb. Most trims ride on 18-inch alloy wheels, but the 20-inchers optional on SLTs and standard on Denalis have less sidewall and can deliver a stiffer ride. 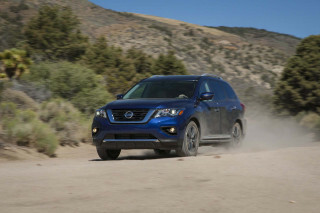 It’s worth noting that All Terrain models are more about looks than performance; they ride the same on-road as their siblings and are only enhanced off-road by a slightly revised traction control mode. You won’t find knobby tires or tow hooks here. Comfortable front- and second-row seats and a quality feel inside are offset slightly by a tight, narrow third row in the 2018 GMC Acadia. The Acadia comes standard with seating for seven—two up front, three in the middle, and two in a third row that folds away when not in use. 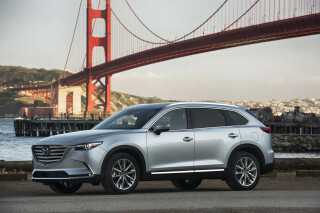 Optional on most trim levels are dual captain’s chairs in row two that reduce seating to six; the All Terrain package optional on SLE and SLT trims deletes the third row but keeps the three-space bench in the middle, making this a five-passenger crossover. Up front, there’s a good view out and comfortable, multi-adjustable seats. Row two is easy to access and has good room in the outboard seats, but the middle is best for occasional use. So too goes for the Acadia’s third row, which should be considered best for children only. With the third row upright, the Acadia has just 12.8 cubic feet of cargo room, which is barely half of what its larger predecessor offered. Still, maximum cargo capacity of 79 cubes isn’t bad. 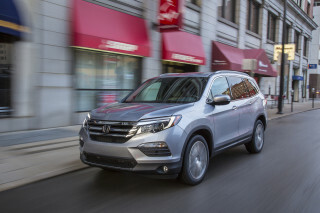 Soft-touch materials are used throughout the cabin and have a nice, quality feel, but SLT and especially Denali trim levels don’t feel as dressy as their hefty price tags might suggest. All Acadias we’ve driven have had a tight, well-assembled feel. The 2018 GMC Acadia boasts good crash-test scores, but we wish its advanced safety tech was available at a lower price point. Crash-testers have given the 2018 GMC Acadia rave reviews, but we’re dismayed that the automaker withholds some of the most advanced safety tech from lower trim levels. All 2018 Acadias feature seven airbags, anti-lock brakes, stability control, and a rearview camera. The Driver Alert Package I optional on SLE-2s and standard on SLT-1s includes blind-spot monitors, rear parking sensors, and rear cross-traffic alerts. But you’ll have to step up to the SLT-2 or Denali trim levels if you want more advanced tech. The Driver Alert Package 2 is standard on those and unavailable elsewhere. 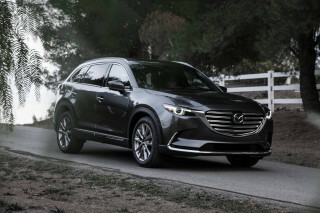 It includes low-speed automatic emergency braking, adaptive cruise control, front parking sensors, and active lane control. One nifty feature standard across the lineup is a rear-seat detection system that remembers if you’ve opened the rear door before driving off. It’s designed to remind drivers that a child or pet might be in the back seat. Every version of the 2018 Acadia holds up well to crash tests. The IIHS rates the lineup as “Good” in every category other than headlights. SLEs and SLTs with their halogen lights score “Poor,” while Denalis with their HID units score “Marginal.” Either way, the Acadia’s so-so headlights prevent it from an IIHS award. 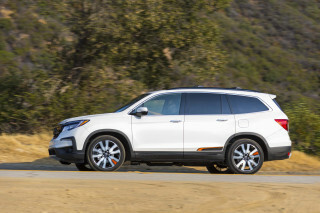 Federal testers don’t have quite as comprehensive evaluation, but the NHTSA says the Acadia scores five stars overall with all-wheel drive, four stars with front wheel drive. Although the two versions scored identically in subtests, the difference in weight is the likely culprit for the small variance in overall scores. A wide array of optional equipment and a good infotainment system help the 2018 GMC Acadia stand out. The 2018 GMC Acadia can be outfitted with one of six different trim levels, which range from modest but sufficient all the way up to almost luxurious. The Acadia SL is the gateway to the lineup, but it can only be ordered with the inline-4. Still, it’s not exactly bare-bones with its standard 7.0-inch infotainment system with Apple CarPlay and Android Auto, 17-inch alloy wheels, three-zone automatic climate control, and seating for seven. However, a four-way manual driver’s seat seems pretty weak, and there are no major options available. Most buyers will probably start with the Acadia SLE, available with a choice of engines and either front- or all-wheel drive. The SLE is technically split into two models—SLE-1 and SLE-2—but they’re not actually badged as such. The Acadia SLE-1 builds on the SL with satellite radio and a full set of floor mats, but not much else. The SLE-2 brings to the table more features like an eight-way power driver’s seat, heated front seats, an upsized 8.0-inch touchscreen and remote start. Optional on the SLE-2 is a new All Terrain trim package that bundles some appearance upgrades with an off-road mode for the all-wheel drive system. One thing to note is that the All Terrain package also removes the third row of seats, making the Acadia a five-seater. That same package is available on the Acadia SLT-1, where it subs in 20-inch alloy wheels, too. The SLT-1 also includes leather upholstery, Bose audio, an auto-dimming rearview mirror, blind-spot monitors, and rear cross-traffic alerts. The more decadent Acadia SLT-2 is exclusively available with the V-6 engine and also includes front and rear parking sensors, heated rear seats, and a few items. The range-topping Acadia Denali isn’t quite a luxury vehicle, but its unique looks, ventilated front seats, and 20-inch alloy wheels may fool you at first. Standard only on the SLT-2 and Denali is a package that combines automatic emergency braking, adaptive cruise control, automatic high-beam headlights, and active lane control. Warnings are both audible and felt through the base of the driver’s seat. The 2018 GMC Acadia isn’t a fuel economy stand out, but it is reasonably efficient. Four-cylinder models are, predictably, the greenest of the group. The thriftiest Acadia is the front-wheel-drive 4-cylinder that rates 21 mpg city, 26 highway, 23 combined, according to the EPA. 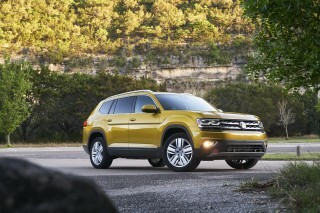 Adding all-wheel drive changes things only slightly: 21/25/23 mpg. The V-6 guzzles a bit more, but neither engine requires premium fuel. 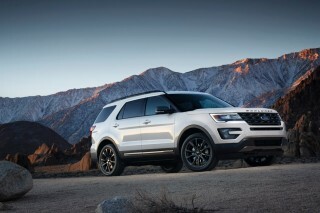 Front-wheel drive V-6s rate 18/25/21 mpg, according to the EPA, while all-wheel drive models are rated at 17/25/20 mpg. Acadias with the 2.5-liter 4-cylinder also feature a start/stop system that cuts out the engine when idling to save fuel, although that feature isn’t factored into the EPA’s fuel economy test.